If you want a role model and someone with intellect and class, that’s Former Secretary of State Condoleezza Rice. She makes Hillary and Michelle look like the lightweight, conniving opportunists that they are. They need props and excuses – Rice doesn’t. Rice addressed the Senate Judiciary Committee in defense of Trump’s SCOTUS nominee Brett Kavanaugh and made a forceful argument for his confirmation. “Many have given testimony to his extraordinary legal mind, the depth of his experience, his intellect, and his good common sense. Here is the Brett Kavanaugh that I know. He has hardworking. He has a sense of humor. He seeks truth in facts. There are no details too small to gain his attention. He makes those around him better. Brett is wise. He is an old soul who is made to help study us and our complicated times. 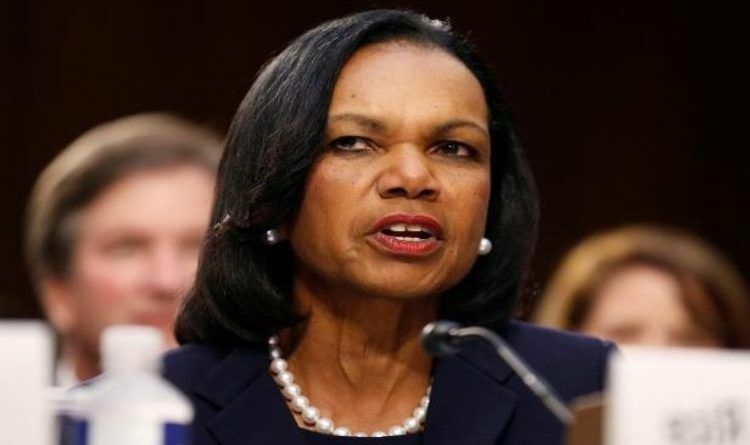 Brett is listless, especially with those who he disagrees,” Rice said. Rice went on to say that Kavanaugh has the “indispensable” qualities that will make him a good Justice. “Brett Kavanaugh will thoroughly and faithfully uphold the trust that is our heritage, the Constitution of the United States of America, the most remarkable government governing document in American history,” she said. Now that’s what a free thinking American is. After all, she has been through in her lifetime, she has come through with grace and elegance. This is one smart lady! Classy, articulate, wise beyond her years. If she doesn’t run as the first female President it would be a travesty, if not what a great SCOTUS she would make. Something to consider President Trump. Thank you, Secretary Rice, for your endorsement of the Judge. We remember you and your Christian testimony in the Bush administration. You are such a blessing to our Country.